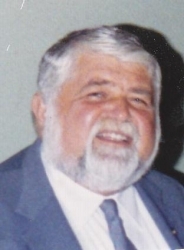 Andrew Batsis, of Toms River, New Jersey, has posthumously been honored as a 2016 Roundtable Member by Strathmore’s Who’s Who for his outstanding contributions and achievements in field of Dentistry. Dr. Batsis has received this honor two years consecutively. Andrew Batsis, D.M.D. was born in Brooklyn, New York on July 6, 1941 (deceased April 20, 2005.) His education began in Brooklyn then Bradley Beach, New Jersey. He graduated from Asbury Park High School and went on to attend Monmouth College. In 1963, he was accepted early admission at Tufts University in Massachusetts. He returned to New Jersey and graduated with a B.S. from Monmouth College in 1965. He earned his D.M.D. at the New Jersey College of Medicine and Dentistry (Rutgers School of Dental Medicine) and obtained his license to practice dentistry in New Jersey. Dr. Batsis gained a reputation for treating his patients like family, always smiling and explaining procedures clearly. He willingly set up fee schedules for working families and was known as the "painless dentist" by his patients. His many awards include the George Hixson Fellowship Award (2X), the Kiwanis Legion of Honor Award in 1996 and 2001, and the Kiwanis Fred Briggs Award. From 1971, Dr. Batsis' interests turned to Kiwanis where he made himself known in Toms River, New Jersey, his place of residence for 35 years. His allegiances to Kiwanis led to his election as Governor of New Jersey Kiwanis. Following that, he became internationally known as a Kiwanis International Trustee and committee chair of Youth Services and more. His 35 years of dentistry endeared him to his patients, and his work with youth services made him a hero not only to those he served but to his peers as well. In addition to the Kiwanis Club, he was affiliated with the Toms River Chamber of Commerce and a member of the Monmouth Ocean County Dental Society. Strathmore’s Who’s Who is pleased to honor him in memoriam.